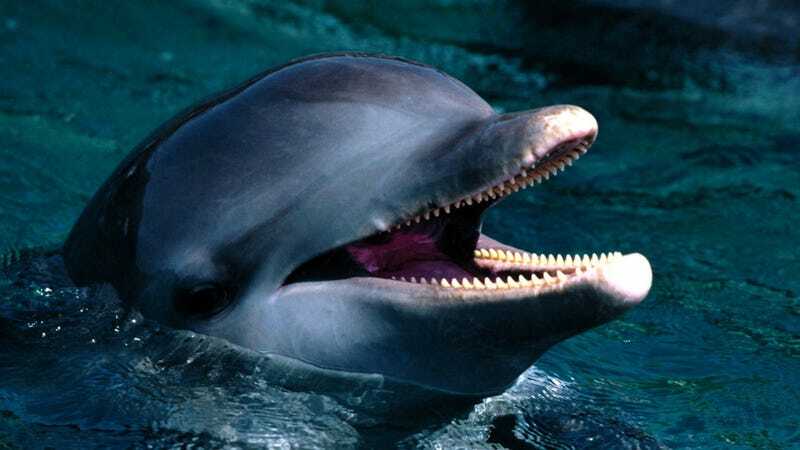 Most mammals — humans included — have taste receptors that can detect sweet, salty, sour, bitter and savory flavors; but the bottlenose dolphin pictured above has lost its ability to detect sugars. In fact, newly published research reveals that the dolphin is just one of many carnivores that has lost its ability to sense sweetness (and, in some cases, other flavors) — and now researchers think they know why. Your ability to sense sweetness hinges on a gene called Tas1r2. If that gene becomes mutated, the taste receptors responsible for detecting sugars are switched off. In 2005, researchers led by Gary Beauchamp at the Monell Chemical Senses Center in Philadelphia discovered that domestic cats, and several wild feline species, possess mutations in their Tas1r2 genes. This, claimed the researchers, made sense, in light of decades of observations that show cats demonstrate no preference for sweets. (Before you go claiming that your cat is the exception to this rule, and that Nibbles just loves things like ice cream and cake, Beauchamp and his colleagues say that what your cat is really attracted to are things like fat content). Now, Beauchamp and his colleagues have conducted a followup study that looks at the DNA from 12 species of non-feline carnivores, and discovered that seven of them have mutations in their Tas1r2 genes. Only carnivores that fed exclusively on meat had mutations in the gene coding for their taste receptor; of the five species without a Tas1r2 mutation, three of them were omnivores. This, conclude the researchers in the lastest issue of Proceedings of the National Academy of Sciences, points to the interrelationship between an animal's diet and the evolutionary persistence of a mutation in the function of its taste receptors. Reinforcing this finding was the observation that the mutations in Tas1r2 were different across all but two of the seven carnivores lacking sweet sensors. This, conclude the researchers, suggests that these species all lost their ability to detect sugars independently of one another via different mutations to the same gene — a textbook example of what evolutionary biologists call convergent evolution. The researchers say their results also point to a strong link between taste perception and altered feeding strategies. Bottlenose dolphins and sea lions, for example, both lacked working copies of the gene necessary for tasting the savory flavor "umami." The dolphins also seem to have lost the receptor responsible for sensing bitterness. This lack of taste sensation, explain the researchers, is likely due to the "unique feeding behavior [of sea lions and dolphins], which entails swallowing food whole without chewing." The researchers' findings are published in the latest issue of PNAS.